Shane Black's The Predator almost had a few completely different endings. One of these endings featured Alien's Ellen Ripley in the pod with a Facehugger-type of breathing mask on. The Alien connection had previously been revealed when the mask was shown by VFX artist Jon K. Miller on social media. However, it was not revealed who was in the pod when those pictures were released. We now have confirmation that the ending was going to be an even bigger connection to the Alien franchise. The Predator effects artist Yuri Everson posted a picture of Ripley in the Predator Killer pod with the Facehugger mask on. Her name tag is clearly visible in the image. Everson admits that they shot three different endings for the movie, but they obviously did not go with the Alien plot twist at the end. However, it does prove that the studio at one time was into the idea of connecting the two franchises again. Instead of Sigourney Weaver, Ripley in the Predator Killer suit was played by stuntwoman Breanna Watkins. The Predator also went through several reshoots that left the final product feeling a bit disjointed after the studio thought that the movie strayed too far from the franchise. One ending was supposed to feature the return of Arnold Schwarzenegger's Dutch, but the actor declined to take part in the sequel. 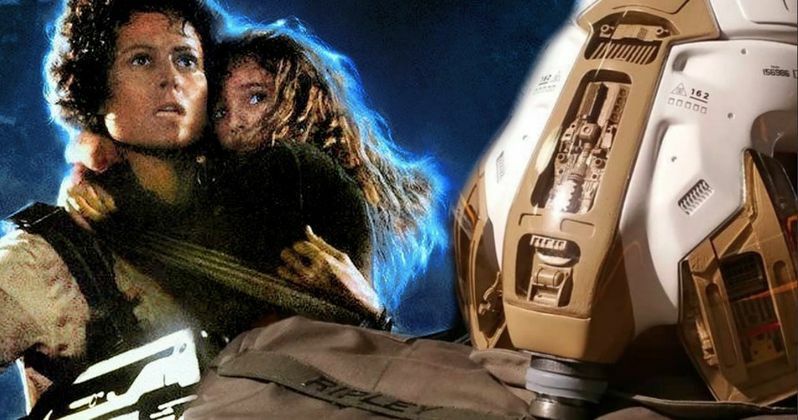 Had the Alien ending been used, it would have caused another problem with the story since the sequel takes place in 2018 and the first Alien movie takes place in 2122. There would have been some pretty major explaining to do. The original plot for The Predator had the crew teaming up with two Predator emissaries to go up against the Upgrade Predator. We've seen the designs for the emissaries and they looked like older versions of the normal hunters. However, test screenings did not go over very well and that part of the story was axed. While the movie was torched by critics and long-time fans of the franchise, it was a pretty excellent popcorn movie that included some intense action and the debut of the Ultimate Predator, which was worth it alone. The Predator didn't do so great at the box office, which makes the chances of a sequel pretty slim at the moment. Shane Black had planned on making a sequel, but it's unclear where that story would have gone, and it seems that it could have gone three completely different ways when looked at the three different endings that were considered. Would fans have wanted to see another Aliens vs. Predator installment? Sigourney Weaver certainly does not want to see that idea happen again. The actress admitted that she wanted her character to die in Alien 3 so she wouldn't have to take part in the mashup. You can check out Ripley's suit below, thanks to Yuri Everson's Instagram account.